AND, how piracy helped propel a short, humorous, honest story into the stratosphere of Amazon best-seller success…Even before it’s release date! “How do I love thee? Let me count the ways…” Elizabeth Barrett Browning wrote these immortal words and I’m going to borrow them to introduce a counting of the ways authors are loving ebooks more and more! One of my favorite mentors and writing-publishing-advice-givers is Joanna Penn from that great country “down under”…Australia. You might have noticed that ebooks are being talked about a lot at the moment. The growth of ebook readers and ebook sales plus the success of Kindle authors have made headline news in even the most traditional press. A few days ago, bestselling thriller author Barry Eisler announced that he was turning down a half million traditional publishing deal to self-publish, primarily because of the potential of ebook sales. And do I need to mention Amanda Hocking’s Kindle millionare status? If you’re not convinced yet, here are ten reasons authors love ebooks and at the bottom, introducing my new multi-media course on ebook publishing if you’re ready to poke your toe into the water. 1) Ebook sales are growing which means the number of readers is growing. I’ve certainly been noticing more ebook readers on the train and also people in my office are buying the new Kindles and loving them. Ebook sales have been reported to be up 115% this year, and even though that’s growing from a small base, the pace of adoption is speeding up. Your book can be available to this growing market. 2) You can reach readers globally. This is amazingly exciting when you think hard about it. Anyone can now publish their book on Amazon.com, the biggest bookstore in the world, or on a site like Smashwords, also open to all. Anyone can buy your book as long as they have some kind of digital device to read it on. Since Kindle app, Stanza and other apps are now on the majority of smart cellphones, it won’t be long before even the developing world can be reading your books (since cellphones have a much larger penetration than computers). I’m in Australia and yet my major market is in the US, thousands of miles away. Some US authors I’ve spoken to have said how well their books sell in Europe. It’s a small world when our work is digital. Brilliant! 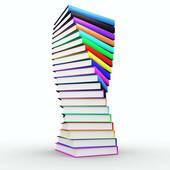 3) You can publish your book within 24 hours – and for free. Speed to market has to be one of the most annoying factors of traditional publishing. It can take 18 months – 2 years to reach bookstores after you’ve finished writing a book. Perhaps that can be chopped down to as little as 6 months but with ebooks, you can publish to the Kindle store within 24 hours. You should absolutely be using professional editing, cover design and formatting but once the book is ready for the market, you can publish fast and easily. Oh yes, and it’s free to publish on Amazon and Smashwords. They just keep a small % of sales. 4) Ebook readers buy more books. I know this from experience as I read at least 3x more books now than I did before because the price enables it. My husband just bought 5 novels over the rainy weekend which he devoured. They were indie priced at $2.99 and so there’s not even a question that’s a bargain. New books in Australia are around $30 each. The price alone means that people will read more books electronically. There are also studies out that show this too, so it’s not just my opinion! Stieg Larsson copycats take note: The slow rise of electronic books is paving the way for more safe-bet fiction blockbusters and serial-type books, at least in the short term, according to some book experts. With book sales stagnating in recent years, the nascent e-books market has thrown the industry into turmoil. In response, large publishers are taking fewer financial risks and betting more of their dollars on established authors, said Eileen Gittins of self-publishing company Blurb.com. John’s Note: Hell, “big publishing” has been doing this for the past 25 years…long before the emergence of eBooks! John’s Note: The hell they do…they stacked the deck for sure wins years ago! Mostly at the expense of new writers and creators. Traditional publishers haven’t taken a risk in so long they’ve forgotten how to spell the word. Their excessive greed is why they won’t or can’t adapt to the new business models…Traditional publishing days are over and good riddance. Similar to movie studios’ betting on well-known franchises to bring box office gold, Gittins said publishers want to market more blockbuster authors writing serial books featuring a distinctive leading character to lure repeat readers, as was seen with the success of prolific, late Swedish author Stieg Larsson, or crime fiction writers such as Michael Connelly. With prices on the fledging e-book market still being battled over among larger publishers and makers of electronic readers, publishers still have yet to profit much from e-books, with the lower priced e-books eating into profit margins. The e-book market has grown rapidly with wholesale revenue from e-book sales in the United States increasing to $91 million in the first quarter of 2010 from $55.9 million from the last quarter of 2009, according to International Digital Publishing Forum. But e-book sales still only account for 5-6 per cent of overall US book sales and less than 1 per cent in Britain, The Financial Times reported this week. Contrary to popular opinion, most of publishers’ costs are developing and marketing authors, not the cost of printing and shipping books. Such costs don’t lessen with e-books even though they sell for less than paper books, Gittins said. John’s Note: Oh, so NOW the old printing, binding and shipping costs were nothing? Pure BS…The marketing of authors has ALWAYS been a core mission of publishing, one they gave up on years ago when they put this burden on the author himself (this is why they haven’t made good money on new writers)…This single act of abdicating core mission responsibilities was, in my opinion, the beginning of the end for traditional publishing. Remember, good writers can learn publishing (especially today with new technology) easier than publishers can learn to be good writers! Book experts predict in the e-book market, bestselling authors will remain popular in the short term. According to Amazon, all three of Stieg Larsson’s books, which include sensation “The Girl with the Dragon Tattoo,” sit in the top five best-selling books on Amazon’s Kindle reader. Customer favorites for e-books include “great Summer reads” such as Stephenie Meyer’s new novella. Daily Beast book editor Lucas Wittmann said in five years e-book sales could reach levels to make up for lost paper book sales, but for now publishers are feeling the pinch. When e-books first hit the market, some nonfiction economic and political books fared well, but now as the e-book audience had widened, more fiction is selling, he said. “Publishers are still experimenting,” Wittmann added. Publishers Weekly Editorial Director Jim Milliot said online sites such as Amazon.com encourage readers to buy the same author, while smaller publishers were slow on e-books. As electronic readers improve, the type of e-books that sell well could change. Improving graphics could help genres like nonfiction and children’s books become more popular. “The possibilities seem to be opening up for more graphic work, incorporating multimedia and embedding links to audio when you are reading a biography of Bach or something,” Wittmann said, predicting such advances in a year or two. Wittmann said there will still be some “pain in the industry” but diversity and change was coming.